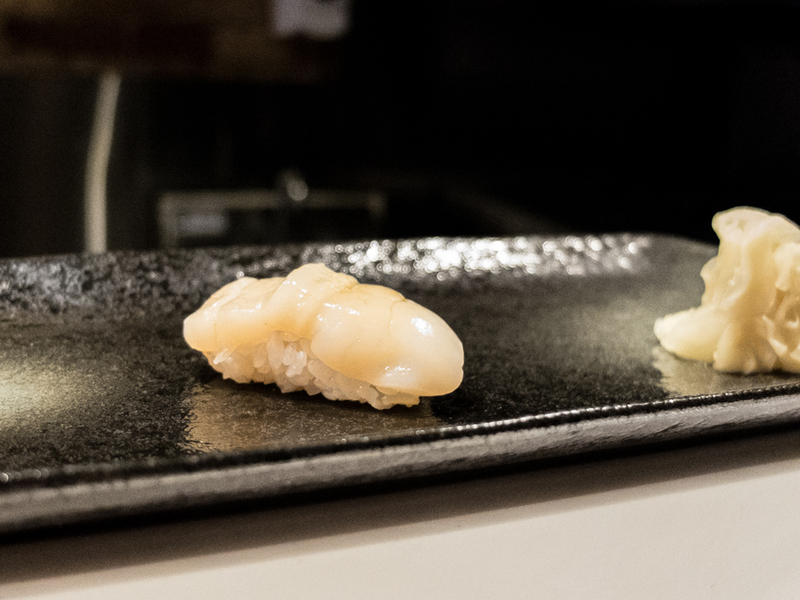 A "seafood-induced blissed state" as expressed by food critics, Yasu goes beyond the geographical limits of Toronto to the coastlines of Japan where the fresh seafood is at. This is the sort of Jiro-style restaurant I would dream of going to. 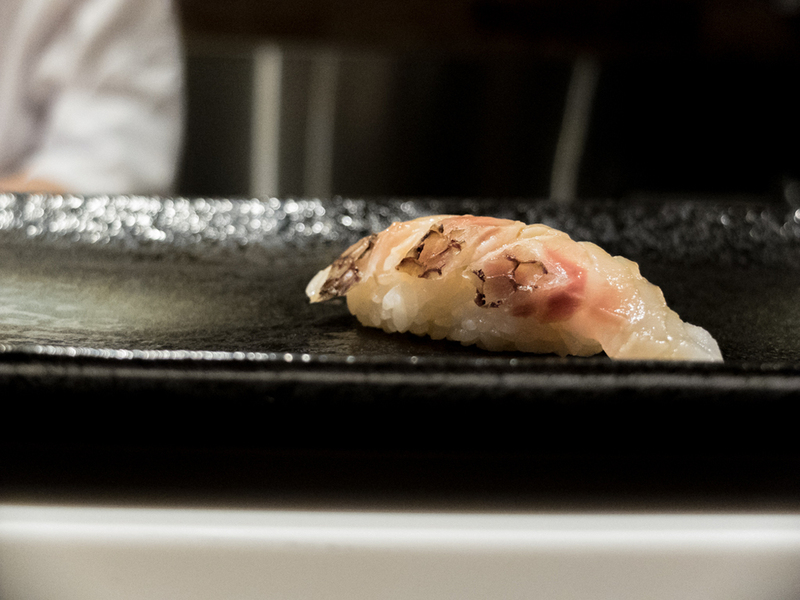 It was my first time trying an omakase, which has been sitting at the top of my bucket list for a while. As I stepped foot inside the restaurant, it was hard to contain my excitement as I marveled at the tranquil and minimalist decor of the restaurant. The sushi counter seats 10 people for 2 hours at a time, so I wasn't surprised it took several weeks to secure a reservation on a Sunday evening for two in February. There are two seatings nightly, at 6 pm and 8:30, and the restaurant doesn’t accept walk-ins (it buys just enough fish for its reservations). 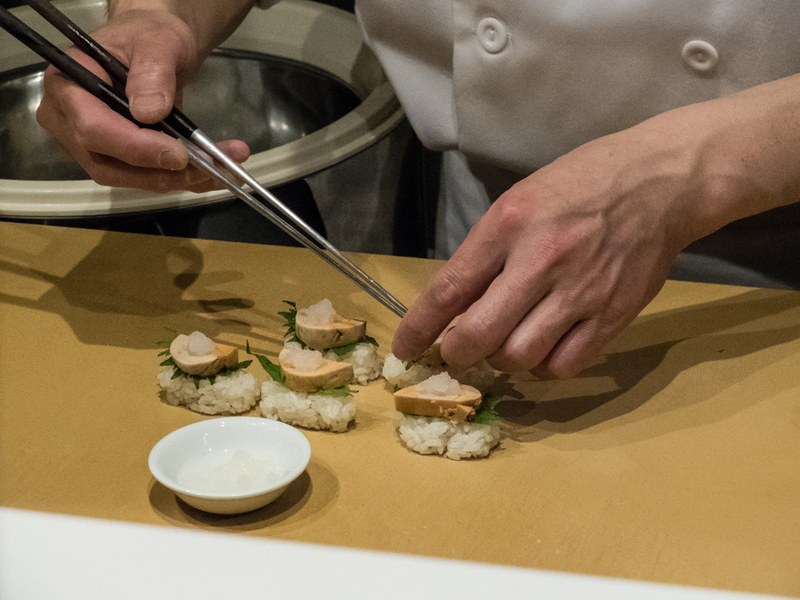 For $80, you get 18 pieces of sushi plus dessert, made to order right in front of you and served one at a time. 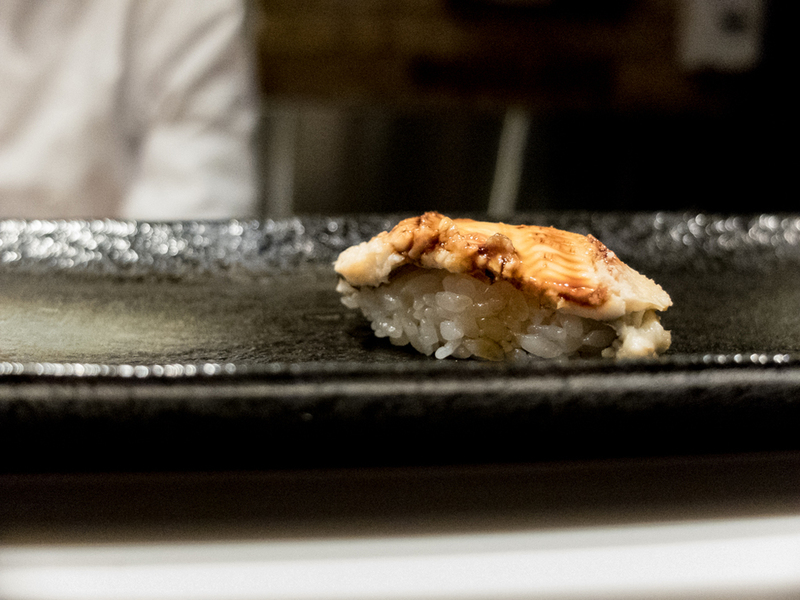 The fish is freshly sliced and placed atop just-warm, vinegar seasoned rice then brushed with a touch of nikiri soy for a perfectly balanced bite. 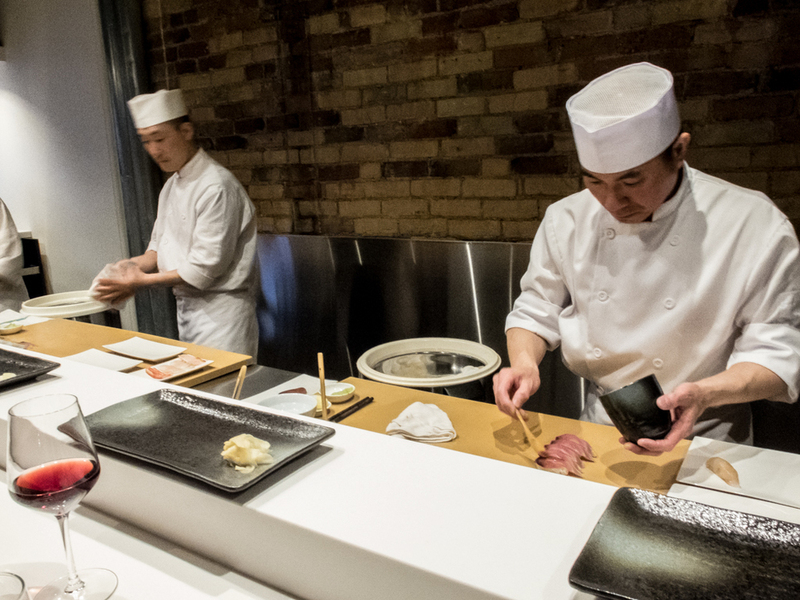 Omakase, in Japanese, simply means "respectfully leaving another to decide what is best". 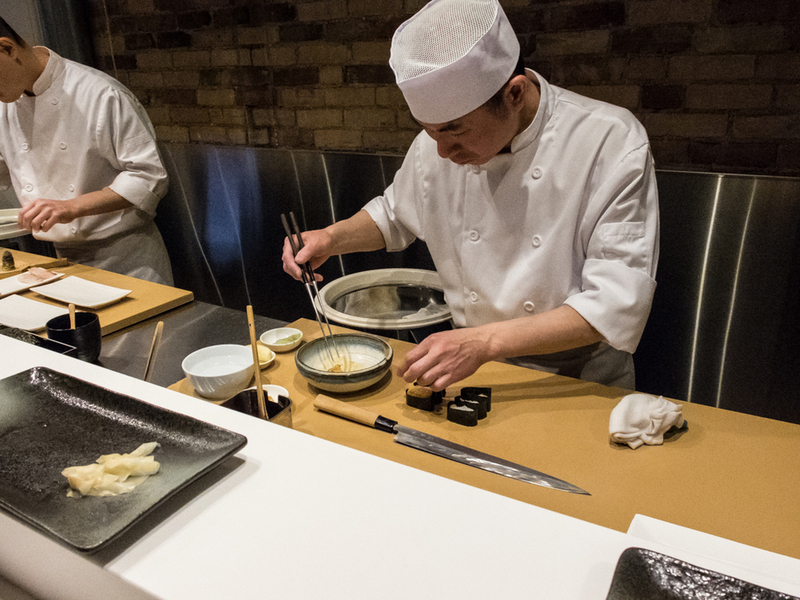 In a Japanese restaurant setting, it's a meal of dishes selected by the chef. It's a beautiful way of dining because it allows the chef to determine the menu options based on seasonality rather than our insatiable appetites influenced by industrialism and mono-agriculture. It gives you a different experience from ordering à la carte. 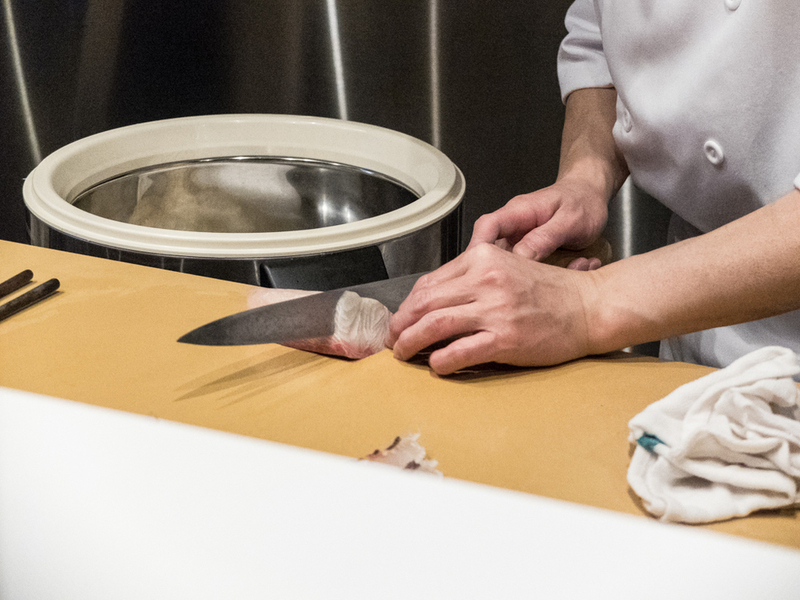 Run by Osaka-based executive chef Yasuhisa Ouchi [Oh-oochee], Yasu's mission is to return to the roots of sushi. 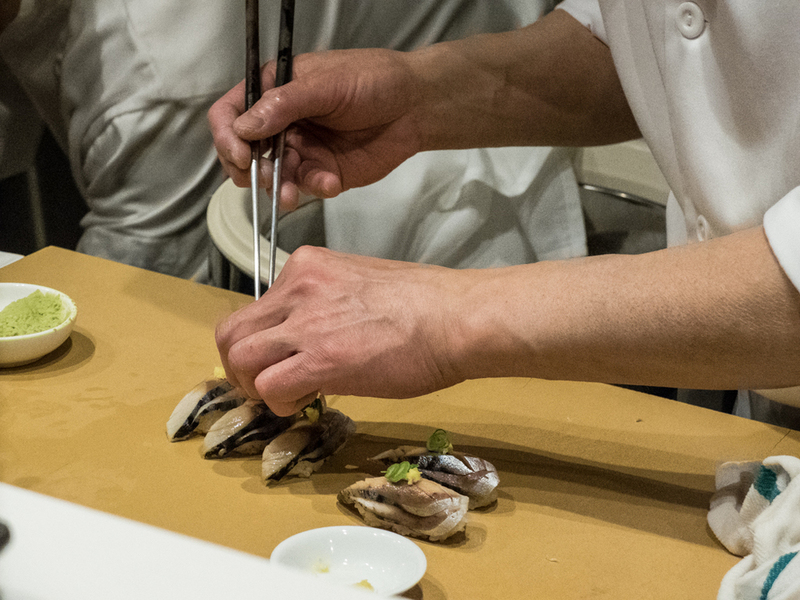 They use methods to draw out the umami of seafood, in other words, to bring out the natural savoury taste in each ingredient. 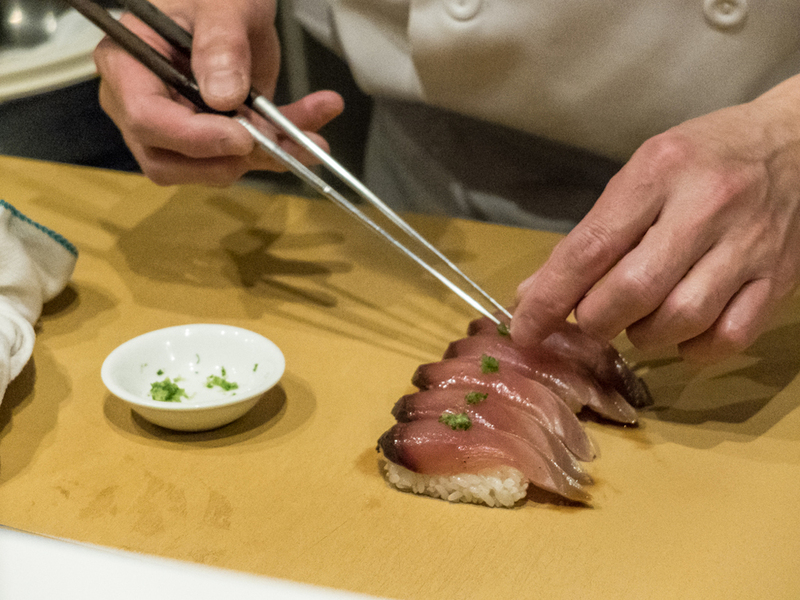 Some notable favourites were the scallop with rock salt, sweet shrimp from Argentina, and medium fatty tuna (albeit controversial - there's an option to opt out of bluefin tuna). 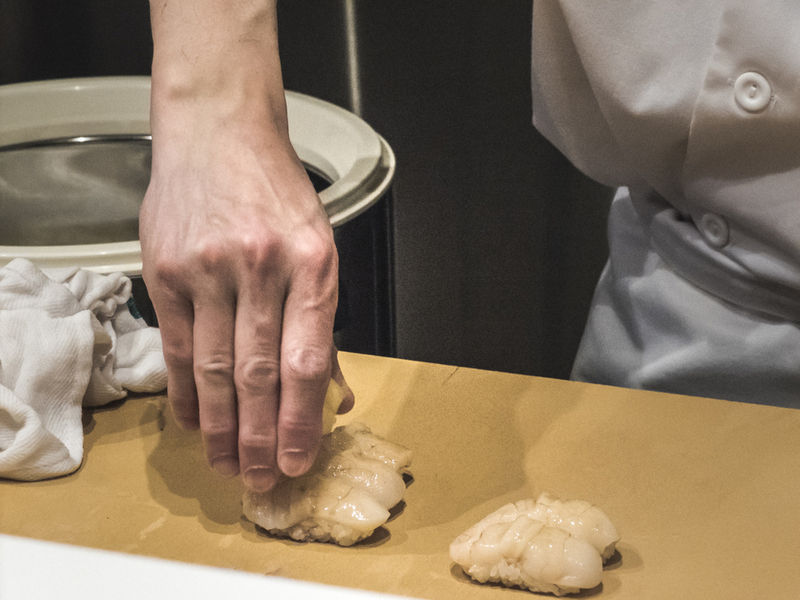 The scallops are warmed with a blowtorch and brightened with sour-floral pepper seasoned with summer yuzu. Each bite simply melts like ice cream in your mouth with a smooth and buttery finish. The fish selection changes as the seasons do. That night we enjoyed Edomae-style sushi sourced from Japan, Argentina, Portugal, New Zealand and our very own Nova Scotia and Vancouver. 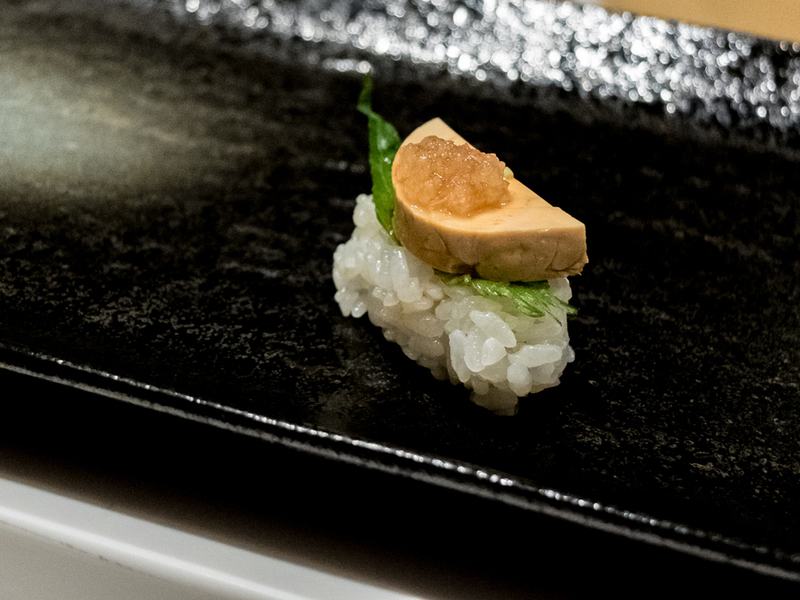 The final sushi course is a piece of tamago, a sweet, sponge-cake-like egg and shrimp omelet. 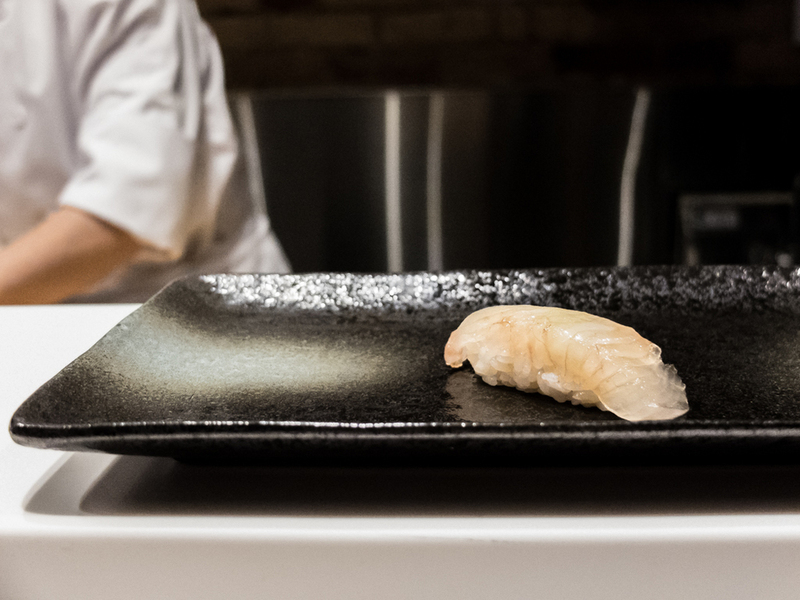 It's one of the most traditional tastes in the Edomae sushi canon and perhaps the most difficult to make, yet unmistakably delicious. 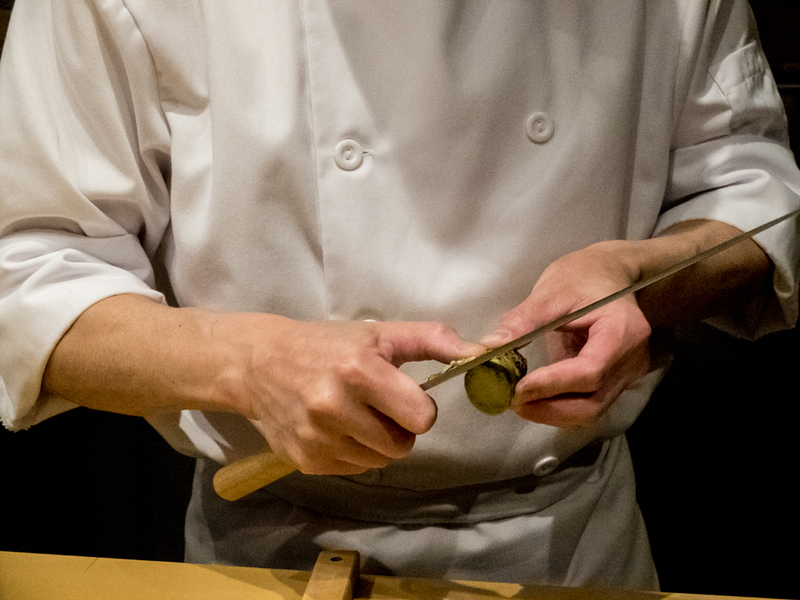 In the tradition of all great sushi chefs, Mr. Ouchi said he won’t ever stop chasing perfection. 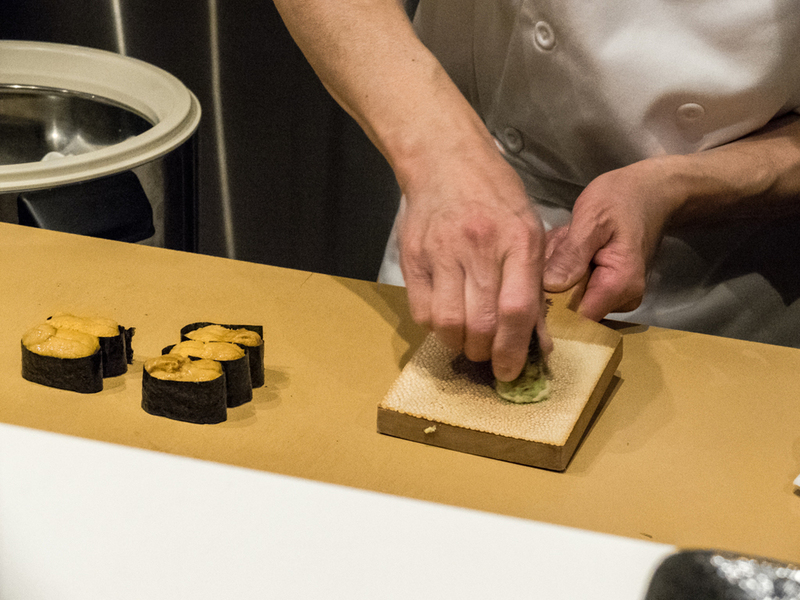 “I work on making better tamago every day,” he said. 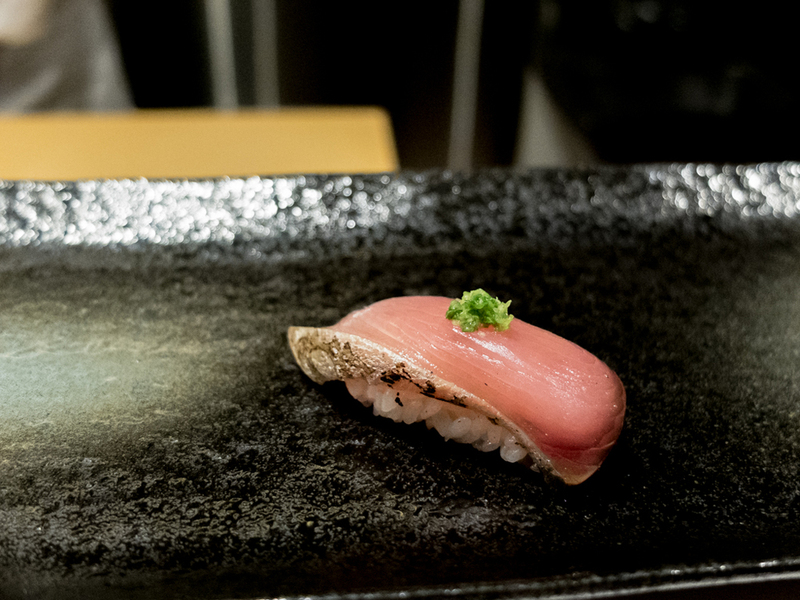 For the record: $80 is a steal for sushi this good. 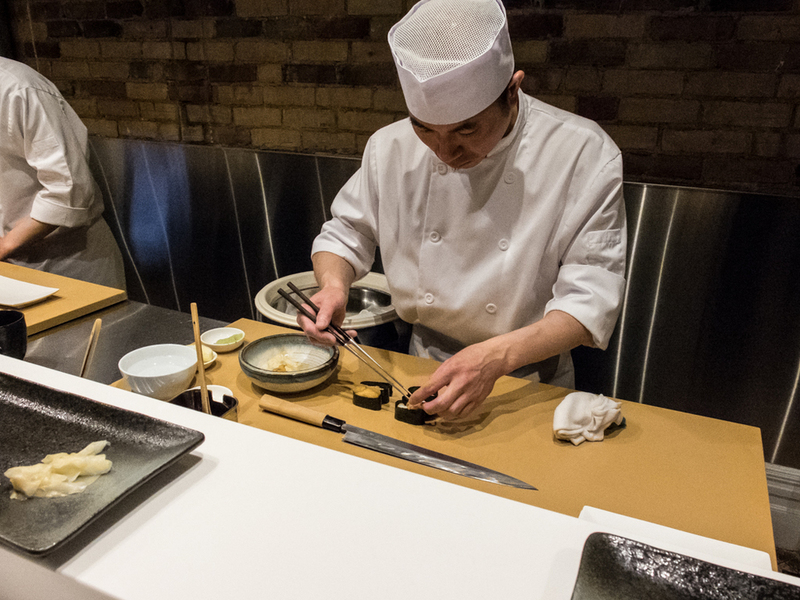 Yasu is one of those underrated sushi restaurants that deserves more credit. 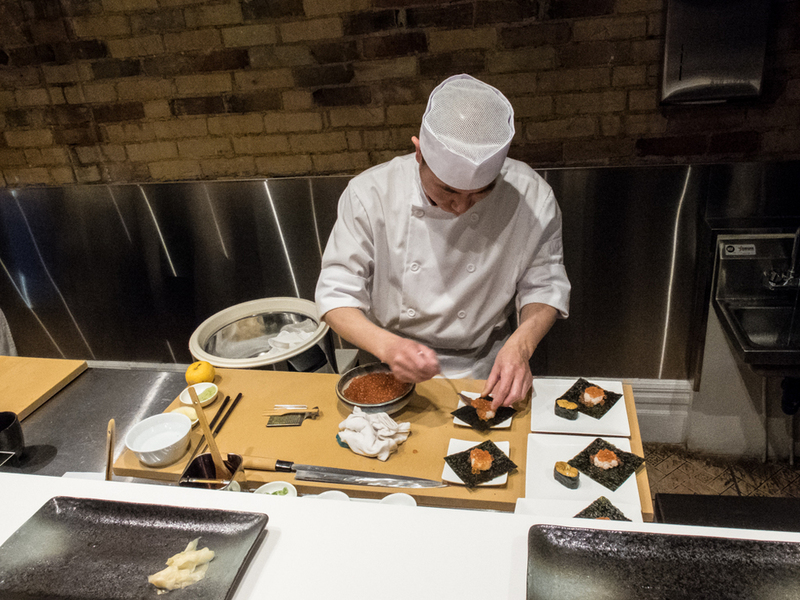 Yasu is all about capturing the essence of sushi. 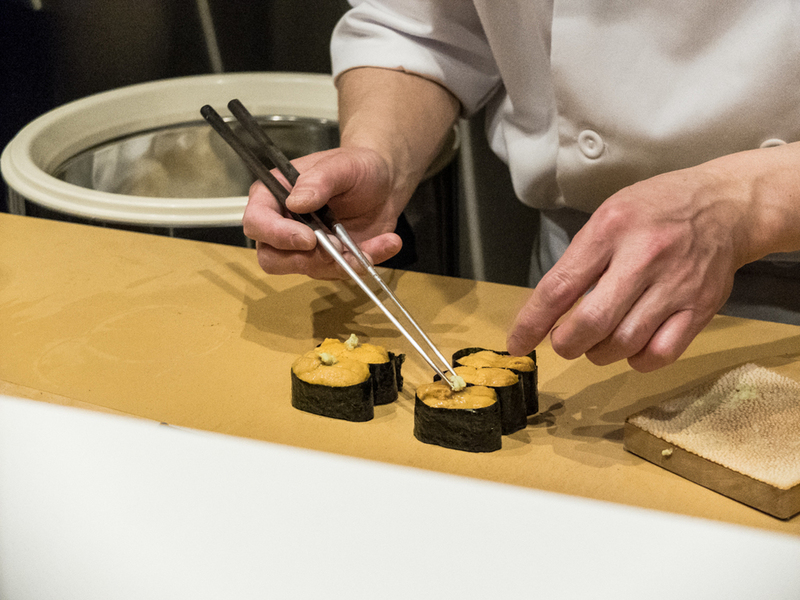 The seasonal ingredients are prepared at the sushi bar and served immediately for maximum flavour and freshness. 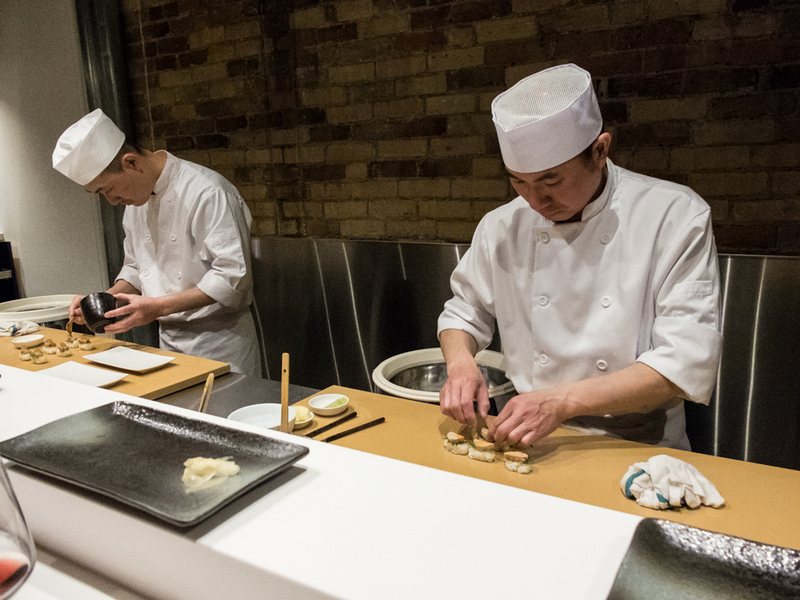 Watching the chefs in action trumps all TV entertainment for me; this is what sushi dreams are made of.